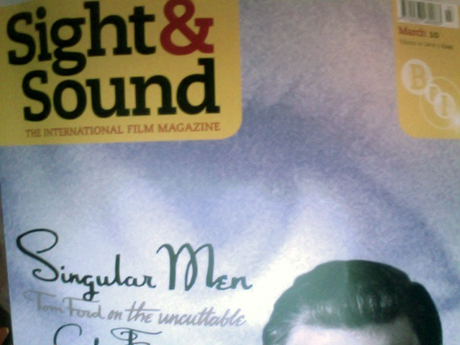 The new issue of Sight&Sound is out. In his opening editorial, the ever-correct Nick James writes that he is certain that Avatar will win Best Picture at the Oscars and that he has ‘never felt so sure of an award before’. I’m inclined to agree with him, as depressing a thought as that is. Avatar is a film for 15-year-olds that grown-ups enjoy for its technological breakthroughs; The Hurt Locker is a pretty good film that’s getting a little over-hyped; Precious has gut-wrenching performances, but is otherwise limited; Up In The Air I admire a lot, but is hurt by a disappointing last 15 minutes too reliant on music-driven montages.